Although we advanced user can install extension at any time we want but for some user some very essential extensions need to be preinstalled like '' Youtube link, Imagus, ad blocker " etc. 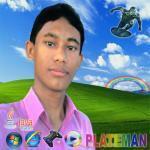 Maxhon could be the best browser if they can make maxthon a very easy to use browser. as you can see, devs can't satisfy everybody ! But I agree the extensions site should be updated and less slow ! "youtube linnk" ==> bookmark it = https://www.youtube.com/user/Link"
"images" ==> bookmark it = https://images.google.com || https://images.search.yahoo.com/ || etc. I'd never use them. Useless extensions just slow the browser down. Use <<SL>>few extensions as possible. I do find AdVlock Plus very valuable wen used with a good block list. He told about extension: YouTube Links (or the same script for ViolentMonkey). Sniffer and Float Bar still dont work with HTML5. He told about fast image search. You can use website if you want to find Putin's photo right now. But if you want to find the source of the image you need context menu like in Google Chrome or Yandex.Browser. I don't know cool extensions with this features. I don't think that this is good idea. Remove pre-intilled extension from Maxthon is not so easy. Edited 7 Jun 2016 by A.S.